Preview on Northern Soul website. Interview with director Collette Murray in Children’s Theatre Reviews. 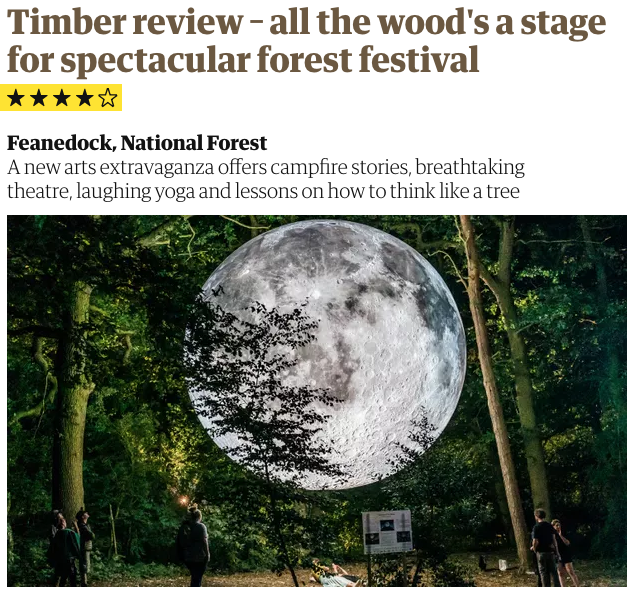 Review of Timber Festival by Arifa Akbar in The Guardian. Just watching entrancing performance of @JackieMorrisArt & @RobGMacfarlane #TheLostWords by @seekfindspeak at @LatitudeFest. Packed woodland setting, active engagement, spellbinding wordery. Love it.